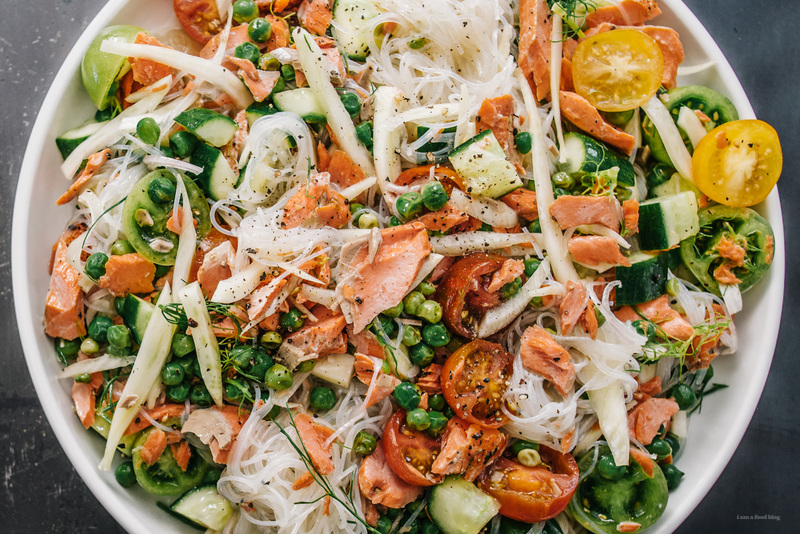 Salmon, Fennel, and Cucumber Cold Noodle Salad A cold noodle salad filled with flaky ruby red salmon, impossibly sweet tomatoes, cucumbers, and crunchy fennel tossed in a toasted sesame, rice vinegar and lemon dressing. Miso Dijon Sesame Green Bean Salad Hearty enough to be eaten as a main, but still a salad because green beans! 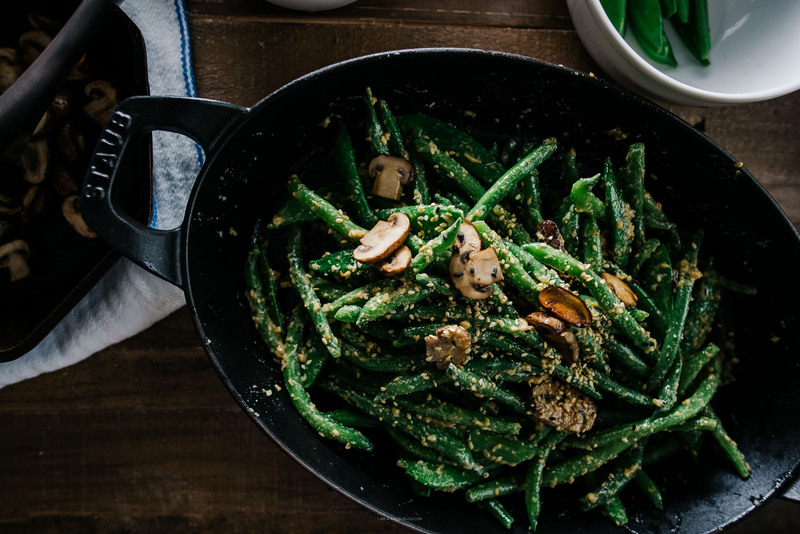 Tender, crispy beans, snap peas, and pan-roasted mushrooms tossed in a crushed sesame miso-mustard dressing. 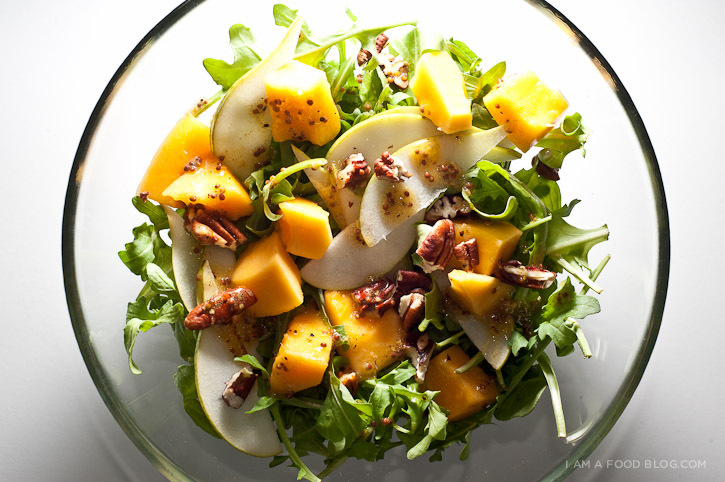 Papaya Pear Arugula Salad with Lime Mustard Dressing Fast, fresh, and so easy to throw togehter: arugula with cubes of sweet papaya, crips pears, toasted pecans, and a lime mustard vinaigrette. 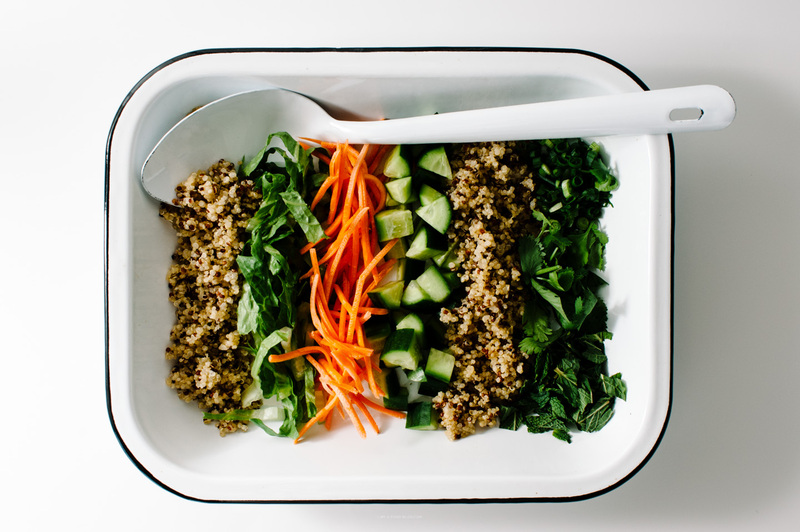 Vietnamese Quinoa Salad Full of fresh herbs and flavor, this quinoa salad is perfect for spring picnics! 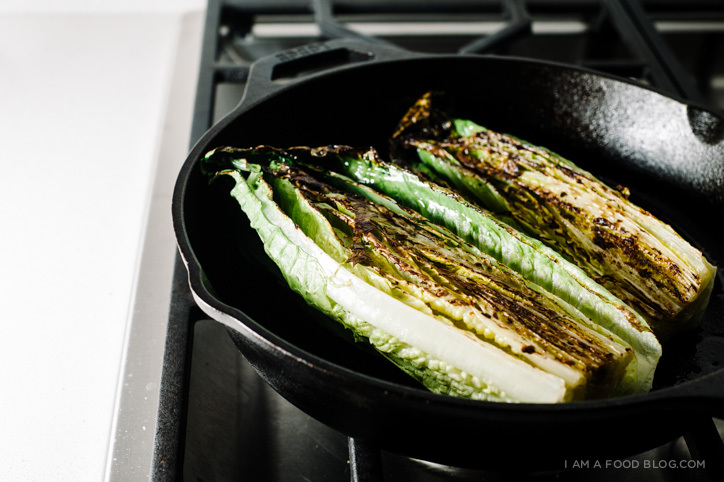 Grilled Romaine Salad Have you ever had grilled romaine? It’s amazing. This salad has charred romaine, seaweed, soft boiled eggs, and the BEST Chinese black vinegar dressing. 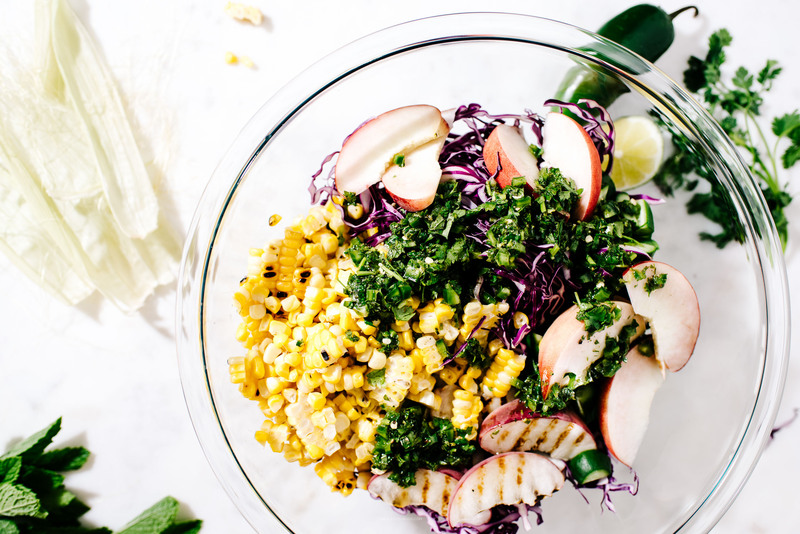 Peach and Corn Coleslaw Sweet corn and peaches with red cabbage, mint, and cilantro in a toasted sesame jalapeño vinaigrette. 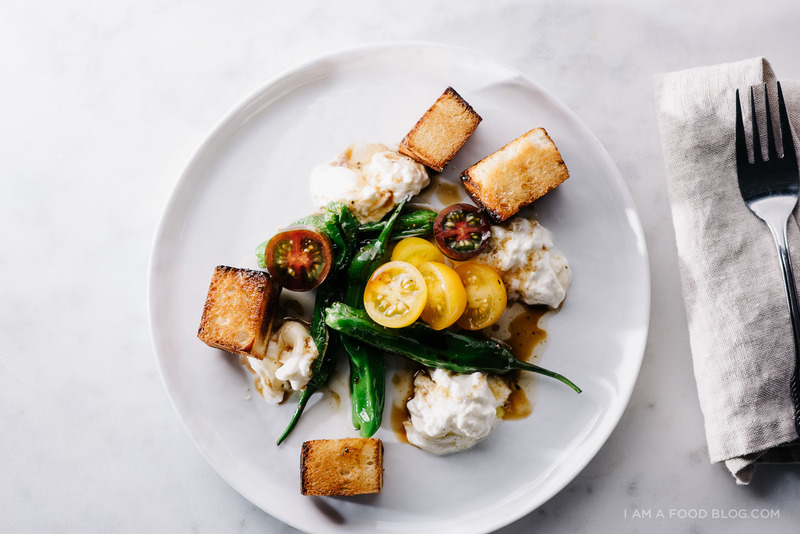 Blistered Shishito and Burrata Bread Salad This is one of my favorite salads ever because giant toasty bread cubes and BURRATA! Add to that blistered shishitos, sweet cherry tomatoes, and an addictive black vinegar soy dressing and you’ve got a plate of heaven. 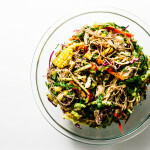 Cold Sesame Soba Salad YAAAASSSS to noodle salads. 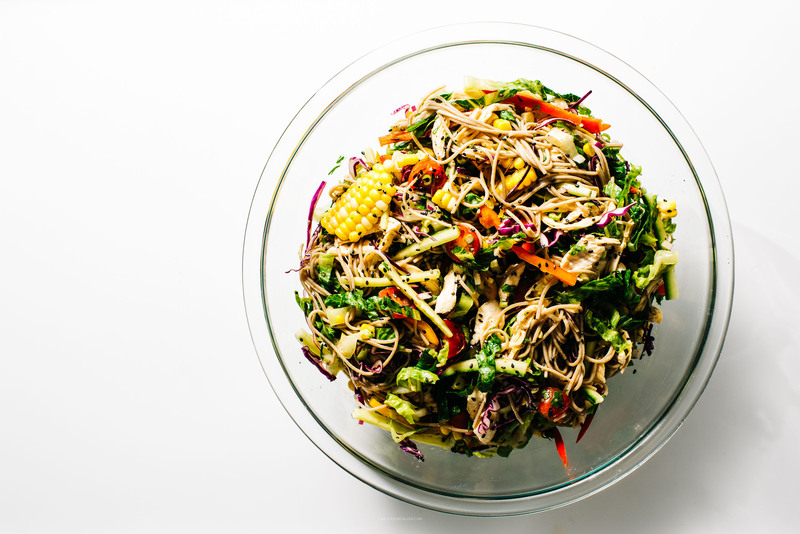 A giant bowl of noodles with all the vegetables and a slightly spicy, vinegary dressing. 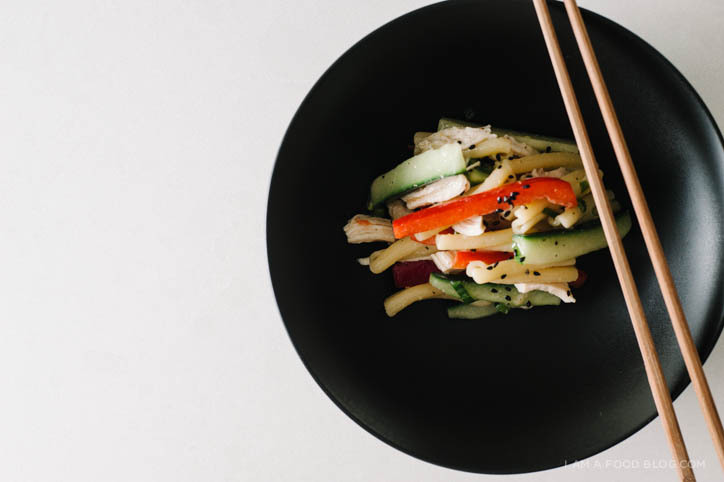 Miso Pasta Salad An umami-full pasta salad with chicken, peppers, cucumbers, green onions, and toasted sesame seeds. 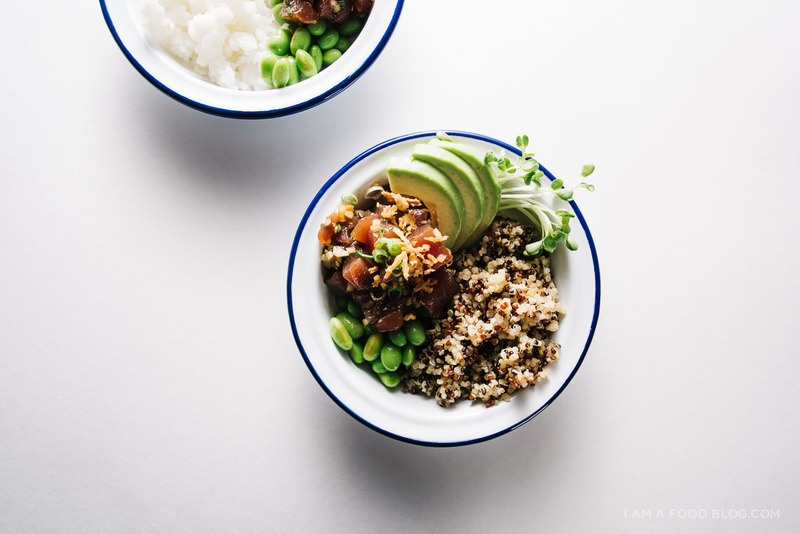 Ahi Tuna Poke Quinoa Bowl Technically not a salad, but who’s going to say no to sesame soy dressed ahi tuna with quinoa, avocado, and edamame?! Happy salad days of Spring!